On January 10th the Premier Bride Expo débuted at the Prime Osborn Convention Center, in the heart of downtown Jacksonville. This show was the first time the Premier Bride Expo was held at the Prime Osborn and it was a huge success. On Sunday afternoon close to 650 brides/grooms walked the halls and met over 110 professional wedding vendors. The show had Jacksonville’s and surrounding areas top wedding professionals exhibiting at the bridal show. These top vendors represented over 20 different categories that are all part of the wedding planning process. 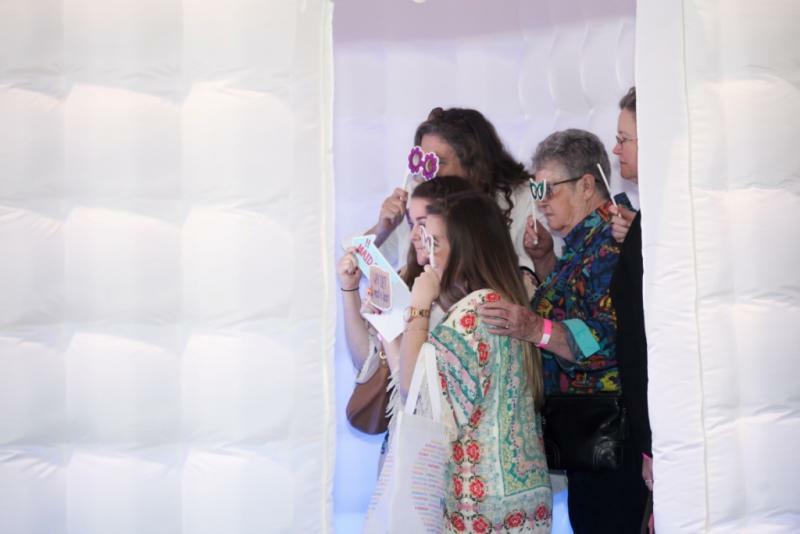 Since there is always a wide variety of wedding vendors at each Premier Bride Expo it does not matter what stage of the wedding planning process you are at…there is always something for you to see, find and learn! We have vendors that represent reception venues, photography, bridal attire, videography, wedding cake, catering, invitations, travel and honeymoons, jewelry and so much more. At each show the Premier Bride Expo has live music, a décor showcase, fashion, food and plenty of prizes and give-a-ways! Here are some pictures of the latest show! Getting married in 2016? Then you should plan on attending the Premier Bride Expo! North Florida’s biggest, best and most inspiring wedding shows! Premier Bride Expo kicks off the wedding season with the very first bridal show of the year. Mark your calendars for Sunday, January 10th at the Prime Osborne Convention Center from 1-4pm. For 3 hours, brides, grooms, family and friends will have the opportunity to meet North Florida and Southern Georgia’s top wedding professionals. Over 115 wedding vendors will grace the convention floor, showing off all they have to offer weddings, celebrations and special events. No matter what stage you are at in your wedding planning process, the Premier Bride Expo has something for you! If you just got engaged, start with dresses, wedding planners, reception venues and photographers. If you are in the middle of the process check out our cake bakers, florists, caterers, videographers, accessories, rentals, tuxes, and so much more! Not engaged but will be soon? Come check out engagement rings, fashion jewelry, our health and beauty vendors…and many others. Premier Bride Expo also has non-wedding vendors attend the expo and showcase their products and services…things that you need for “after the wedding” and in everyday life. There is plenty to see and do at the Premier Bride Expo. Each couple gets a swag bag full of goodies and information to help you plan your wedding. 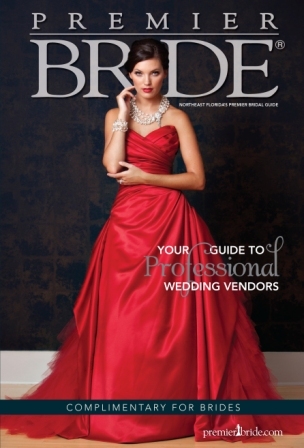 Couples and attending friends and family can pick up a copy of Premier Bride Magazine too. It is North Florida’s wedding guide to planning all special events, celebrations and weddings. There are prizes and give-a-ways to won…so bring your labels! 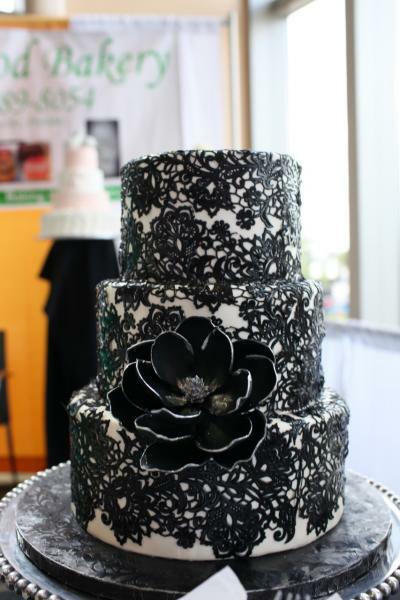 All of our caterers, cake bakers and sweet treat vendors bring samples, so get your taste buds inspired. NEW! The Premier Bride Expo is now having a “Décor & Guest Experience Showcase.” This coincides with our theme of the show, “Vintage Carnival.” Walk through themed table scapes, get inspired with center piece ideas, and see the variety of paper goods integrated into your place settings. The biggest trend in weddings is the “guest experience” – giving your guests an extra special something at the wedding! There are many choices and many of these experiences go with the theme of the wedding. As you walk through our new showcase you will be inspired by the creativity, talent and vision of our professional wedding vendors! If you are planning a wedding, plan with us! Tickets are $8 online or $12 at the door. Parking is FREE! 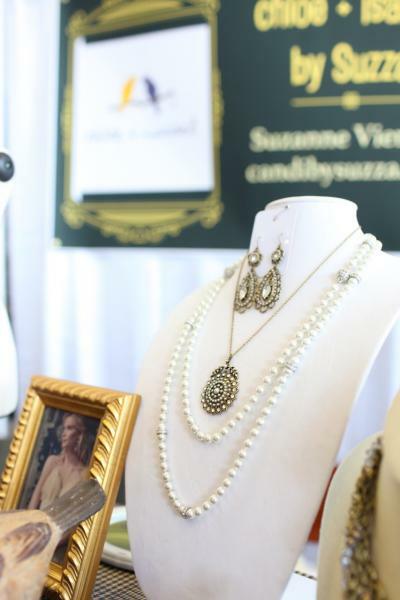 On June 28th, the Premier Bride Expo hosted “Over the Moon” bridal show at the West Touchdown Club at Everbank Field in downtown Jacksonville Florida. All of the Premier Bride Expos feature wedding vendors that live and work in the Northeast Florida area. Wedding Vendors from Amelia Island, Jacksonville, Orange Park, St. Augustine, Ponte Vedra and the Beach comes to meet hundreds of brides, grooms, friends and families all ready to plan their big day. 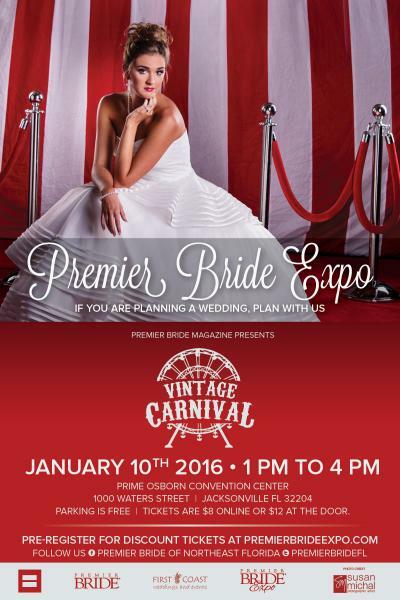 Premier Bride Expos is also supported by Premier Bride Magazine. The magazine is published two times a year and distributed all over Northeast Florida. It is Northeast Florida’s only bridal only publication. We feature real weddings and all local wedding vendors. 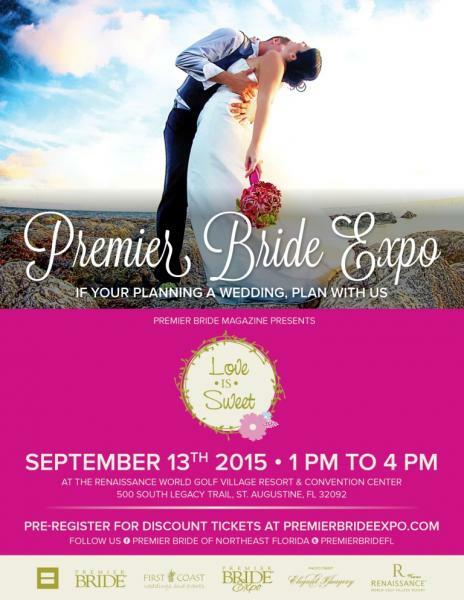 You can always pick up a copy of Premier Bride Magazine at the Premier Bride Expos! Check out the photos from the last expo! Discover your florist at the Premier Bride Expo in Jacksonville! And have fun with your friends and family! Engaged? Vow renewals? Or maybe you are hosting a party – you can find all the vendors you need to make your event a success at the Premier Bride Expo in St. Augustine Florida. No matter what stage you are at in your wedding planning process…you can find it at the Premier Bride Expo in St. Augustine. The showroom floor will be filled over 100 wedding professionals, representing every wedding category & more…everyone will find something they are looking for. If you are at the beginning of your wedding planning process the first things you need to figure out is a wedding venue and decide on the date. Choosing a wedding venue in Jacksonville, St. Augustine, Orange Park, Amelia Island, the beaches or the surrounding area can be challenging because there are so many choices! If you are at the end stages of your wedding planning process, there are a lot of vendors for you to talk too as well. There are vendors at the Premier Bride Expo that are not your traditional wedding vendors. Some vendors are there to help you with the “after the wedding” needs. Financial planners, real estate agents, home services and more can be found here too! At the bridal show, make sure you walk the entire floor, talk to vendors and collect information. When you walk in and check in at the bridal registration, you will receive a bridal swag bag. This bag is stuffed with goodies and vendor information. Use it to collect more business cards, marketing material and trinkets you collect along the way. Keep the bag and reference the information you collect as you continue your wedding planning process! Many of the wedding vendors that participate in the Jacksonville and St. Augustine bridal expo book wedding services on the day of the show, sometimes offering great deals and discounts if you are ready to commit! Make a list of the different “types” of wedding vendors you want to speak with. Others will set up appointments where you can have a one on one meeting to discuss their products and services that they offer. To check out categories of vendors and wedding vendors on the First and Historic Coast visit www.PremierBrideExpo.com or www.PBJacksonville.com. If you find a vendor you want to meet – email and ask them if they will be a the show. Each wedding vendor that participates at the expo receives free tickets, so give them a call, tell them you would like to meet them at the show and ask them for a pair of complimentary tickets – they would love to accommodate you! To ensure a great bridal show experience, make sure that you read all of our tips…including making mailing labels! Most importantly, please pre-register at www.PremierBrideExpo.com – this saves you time! Enjoy the show and see you on September 13th 2015 from 1:00 to 4:00 pm at Renaissance Resort at World Golf Village in St. Augustine Florida. 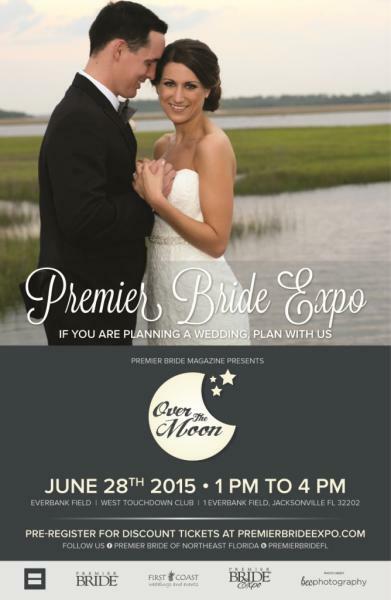 Premier Bride Magazine of Northeast Florida presents the Premier Bride Expo of Jacksonville! 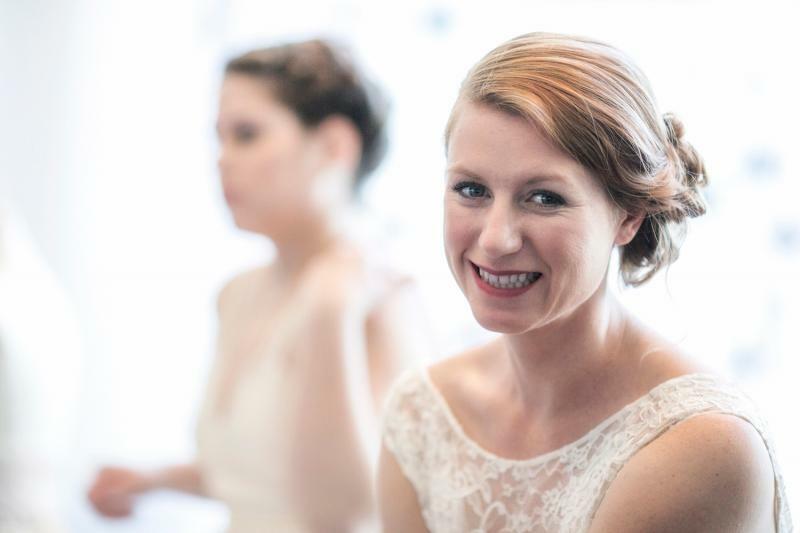 This wedding show is Jacksonville’s largest bridal expo. Located at the West Touchdown Club of Everbank and hosted by Levy Restaurant, this location is in the heart of downtown Jacksonville and easy to find, with free parking! Join us from 1-4 pm! Brides, grooms, friends and family all enjoy the wide variety of vendors that participate in the wedding expo. Over 100 of the top wedding professionals exhibit at the show. They represent over 20 different wedding categories alone from; reception venues, photography, cake bakers & sweets, wedding invitations, clergy and officiates, wedding planners, décor & rentals, videographers, florists, bridal attire, gift registries, honeymoon & travel, grooms fashion, hair & makeup, catering, transportation & carriages, accommodations, photobooths, health & fitness, engagement rings & wedding bands, DJ’s & musicians, financial planning, personal services and many other helpful products and services. 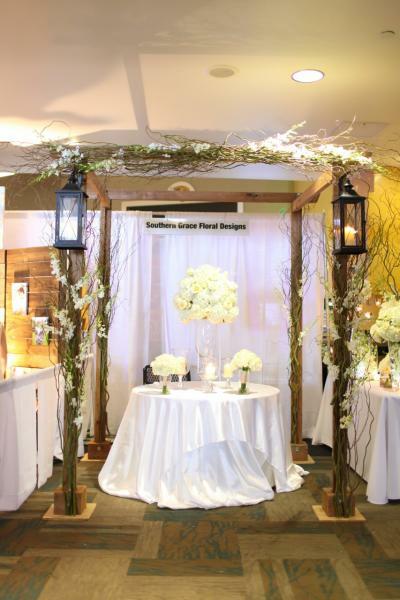 As a bride or groom you will enjoy interactive booths from our vendors. Each wedding professional decorates their booth to show off their creative flair, has taste testings for their sweet treats or catering, plays live music, displays their products so you can touch, feel or taste, bridal and groom’s fashion, and so much more. No matter what state you are in the wedding planning process, you can find something at the expo! Make sure you stick around until 3:45 pm and head over to the emcee booth hosted by Footloose Entertainment because that is when the grand prize drawing takes place. All prices, including the grand prize are announced via email to all participants who pre-register online. 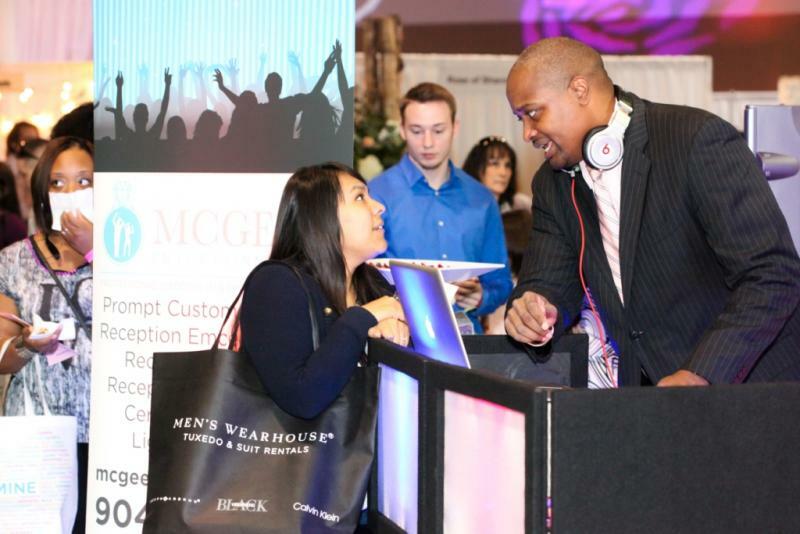 The Premier Bride Expo makes it easy! You can pre-register online, pre-pay for tickets online at a discounted rate of $7, or just register and pay the $10 ticket price the day of the show. If you receive complimentary tickets from a wedding vendor, you can pre-register online to save time. Please print out your tickets and pre-registration on the day of the show. If you can’t print your tickets, we will be able to look you up by your last name or email address in our system! 1. Consider your engagement as the beginning of your lifelong commitment! It’s the perfect time to create a healthy foundation for your marriage so let the lines of communication be open. As you plan your wedding, focus on your financial future by sharing dreams, savings, and debt issues, and start making a joint plan. Make sure you start off on a great foundation and everyone is on the same page. Check out our financial planners that have a booth at our Premier Bride Expo! 2. If you are planning on having a wedding that falls on around a holiday such as New Year’s Eve, Labor Day Memorial Day, Florida Georgia Weekend or TPC, make sure to reinforce the date, create personalized, magnetic save-this-date cards, and send them out at least six month’s in advance. 3. If you’re a disorganized bride, the stress will show at every turn. Use the pre-wedding time to organize and weed-out conflicts, clutter, and emotions. Enlist expert help to support you by hiring a financial advisor, wedding planner, organizational consultant and personal trainer. The extra time and money invested will result in a successful wedding and good-to-go marriage. All of these services can be found at the Premier Bride Expo in Jacksonville and St. Augustine! 4. Once the engagement is announced, choose the bridal party carefully. This can be an emotional time, but use logic when you make important decisions. Please consider; emotions, personalities, dependability, affordability, and your relationship with him or her. Once you make the offer, you can’t take it back, so use your best judgment. 5. A good test for a photographer is the engagement photo. Pay attention to the way the photographer communicates and whether or not you are handled in a relaxed but professional manner. Is this person willing to work with you? Do you love the results? Is the customer service excellent? There are great photographers at the Premier Bride Expo, so you will have a lot to choose from and talk to. Set up a consultation after the show if you need more time. 6. If possible, use your engagement party as a test for catering. Have it at a restaurant that caters to celebrations and ask whether they might give you a discount on catering, etc., if you also book your shower or rehearsal dinner with them at the same time. If it is at someone’s house, bring in a catering services that you might want to use for the reception or rehearsal dinner! There are a lot great caterers in Jacksonville and the surrounding areas and a lot of restaurant options too. And don’t forget about the food trucks! 7. Don’t put off discussing premarital agreements – get it out of the way, right away. Yes, it’s awkward, but it’s part of our culture. If you try to slide the issue on the table a month before the wedding, you’re not only asking for disaster, but it might not hold up in a court of law because it can be considered an agreement made under pressure. 8. WEL-COME – “Wedding Essentials List: Communicate/Compromise, Organize, Manage and Exercise.” During the engagement period, work on these everyday. You’ll reduce your stress during the hectic and emotional months ahead. 9. Use the engagement time wisely. Pre-marriage counseling is meant to weed out potential problems and strengthen your communications. At the Premier Bride Expo, we have pre-marital councilors, it is a great place to meet them. 10. Right after the engagement is announced, grab a copy of Premier Bride Magazine and use the check list in the back to start planning. Download and app, create a binder, make a Pinterest Board…get ready to start planning! 11. The pre-wedding phase is crucial planning time. Make a list of things you want to delegate and create a support system from the start. 12. What’s your wedding style? After you’re engaged and before you’re knee-deep in wedding planning, take some time with your sweetie and discuss your unique wedding vision. Will you have a theme? What time of year? What are your colors? What wedding traditions will you have? Either way, it should ultimately reflect the two of you. 13. The most critical part of the wedding: the marriage license. Without it, you can’t get married. Call the office in your county that handles marriage licenses, and get all of the important details, such as when you need to apply, how much it costs, and what types of payment are accepted. Do this far in advance of the wedding! Premier Bride Magazine has a list of addresses for the court houses in Jacksonville, St. Johns, Nassau, and Clay country. 14. Be a happy bachelorette. Be clear and articulate with your bridesmaids about the type of bachelorette party you would like to have. You don’t have to dictate the details, but if you want an ‘intimate gathering of friends to talk’ and they’re planning a ‘wild night at strip clubs’ you may feel a wee bit disappointed, not to mention uncomfortable. 15. 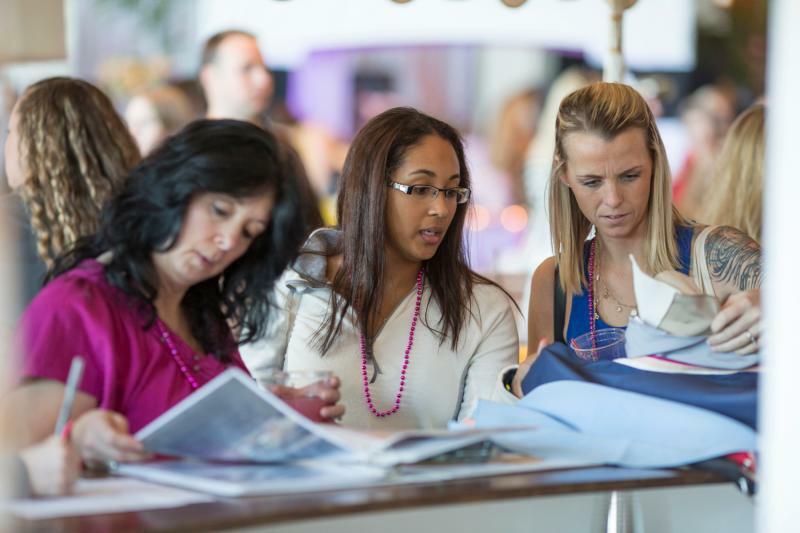 Attend a Premier Bride Expo. It’s a great way to start or finish the wedding planning process. 16. Enjoy it and try not to stress….getting married is exciting and should be fun! 1. Heading out to a bridal show: Be sure you are comfortable from your shoes to your hair! Dress for comfort…that is up to you! 2. You’ll find that at bridal shows you will be filling out SO many things that even your hands will become achy. This is why we suggest you come prepared with labels that include your name, address, phone number, e-mail address, the city you are getting married in and wedding date printed on them. This way you can easily enter the various giveaways and promotions and save a whole lot of time. 3. Think about creating a separate email just for your wedding. It will be easy to keep everything in order from all your wedding vendors and planner. 4. Don’t go to a bridal show alone! Bring your fiancé and if they can’t come, ask mom or some of your close friends who are decision makers for the wedding! 5. When attending a bridal show it can be handy to have swatches of material or ribbons with your wedding colors on them. 6. Take all the brochures you can from the bridal expo. You might not think you need information about bridesmaid and groomsmen gifts now but who knows, things have a way of creeping up on you. 7. Take a lot of pictures at the Premier Bride Expo.There might not be too many things you can snap up, but you may be able to snap a photo! 8. Wear a cute bride-to-be T-Shirt, hat, or sticker to the bridal shows. You will look cute and you WILL receive special attention from the vendors. Seriously, it works. 9. There will be a lot for you to see at bridal shows. Don’t let yourself become overwhelmed or discouraged. These events tend to bring out more emotion than you may anticipate. If you need to, just take it all in. The groom has proposed; you’ve accepted. Now the planning begins. The only problem is that you and your groom probably work full-time jobs and have hundreds of day-to-day errands and responsibilities. So where do you find the time to plan a wedding? Chances are you’ll be among the thousands of couples each year who have discovered bridal shows. Lucky, Jacksonville, St. Augustine and the rest of the First Coast has many different bridal shows. Some are large like the Premier Bride Expos, and some are smaller, boutique bridal shows. A bridal show affords couples the opportunity to meet photographers, florists, caterers, bakery representatives, musicians, DJs and many other wedding professionals, all conveniently set up under one roof. These shows also provide the opportunity to sample wares, view vendor’s work and compare your level of comfort with other vendors you may already be considering. Many bridal shows features bridal and groom fashion. At the Premier Bride Expo, each bridal salon and groom fashion get extra space where they bring in models and mannequins to display their wedding dresses, bridesmaid dresses, and tuxes. It is a good idea to bring a note pad and pencil or a camera, so you can take notes on your favorite dresses, tuxedos and the stores that offer them. Bridal shows range in size from 40 to 200 exhibitor booths. They normally take place on weekends during the months of January, February, June, and September. In addition to fashion shows, food samples and entertainment are also featured. There are numerous door prizes and contests to enter so bring stick on labels with your name, address and wedding date to make registering for prizes easier. Local bridal shows generally advertise on the radio, in bridal magazines, like Premier Bride Magazine, and in other publications. Local merchants, especially bridal salons, have information on shows in your area as well. Premier Bride Magazine of Northeast Florida is the only local, bridal only publication and website serving couples getting married. The magazine is distributed in Amelia Island, Yulee, Callahan, Fernandina Beach, Jacksonville, Atlantic Beach, Neptune Beach, Jacksonville Beach, Ponte Vedra, St. Johns, St. Augustine, Palm Coast, Orange Park, Green Cove Springs and Middleburg! We are everywhere the brides and grooms are! 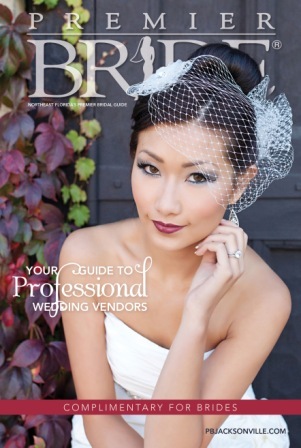 You can pick up a copy of the magazine at over 500 locations…just think about your closes bridal salon, wedding venue, Bed Bath & Beyond, florist, cake baker, or jewelry store…and you can probably find Premier Bride! 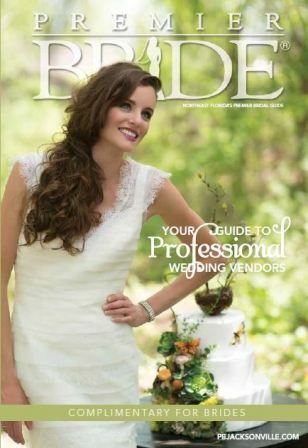 It is also exclusively distributed at Premier Bride Expo, so when you come to the wedding expo at Everbank Field or Renaissance Resort at World Golf Village, you can pick up the latest copy. If you prefer digital…we have that too! You can view our book online or download it to a PDF to your tablet so you can reference it anytime you like. The magazine is in category sections so it is easy to flip through and find the wedding vendors whose services you are in need of. There is also a helpful 16 page planning guide in the back of the magazine. This will help you with your wedding timeline and keeping track of all the important decisions that need to be made. Make sure you visit www.PBJacksonville.com – it is an online directory of all of the wedding vendors in the Jacksonville and surrounding areas. Everything is broken down into categorizes, making it easy to search. When you find a wedding vendor you are interested in, click the “More Info” button to view images, video, their social media links, email, blog, website and read more about them. It is a great way to research the wedding vendors and learn more about their business. Another great resource is the blog! There is a lot of great information, tips, inspirations, ideas, and pictures to look at! 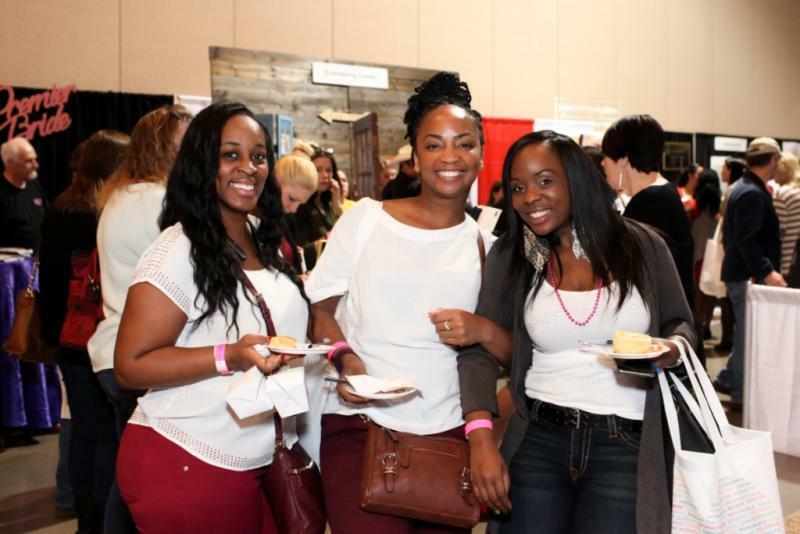 Before you attend the Premier Bride Expo in Jacksonville or St. Augustine, here are some helpful tips that you can apply to get the most out of the bridal show experience! Register at www.PremierBrideExpo.com before the show. This will prevent you from filling out the registration form before entering in the expo floor! You will be asked to fill out the pink form used for prizes and give-a-ways, which is located at the main emcee booth! Check out the vendors that are there! If you are interviewing or would like to meet certain vendors, email or call them to see if they will be at the expo. Each participating wedding vendor receives free tickets, ask them for a pair! Decide on which “categorizes” of wedding vendors you want to see and make a list. 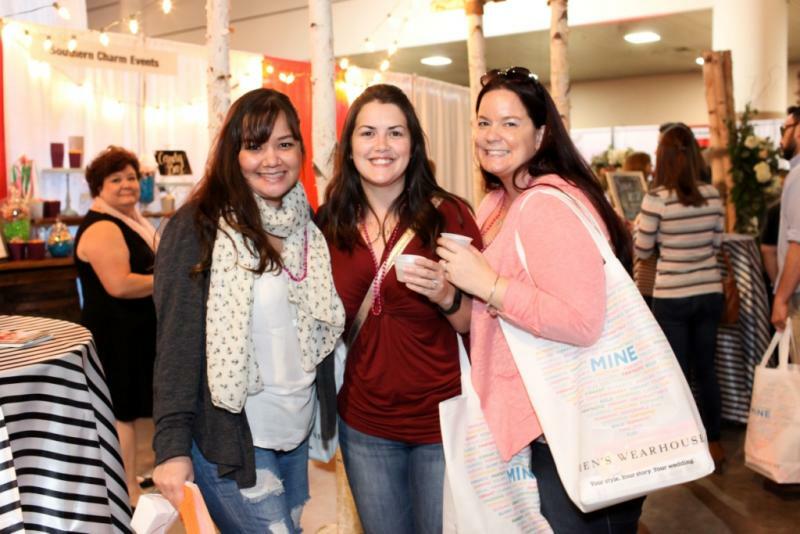 With over 100+ vendors at each show, you can get overwhelmed so make a list! Bring a list of questions you want to ask each vendor. Make a “note” on your phone or on your tablet. With so much going on at the expos, it is easy to forget what you want to talk about! Don’t be shy! If you want to talk to a vendor, make sure you approach their booth and start a conversation. If they are talk to someone else, stand by and listen…they might be asking the same questions that you are! 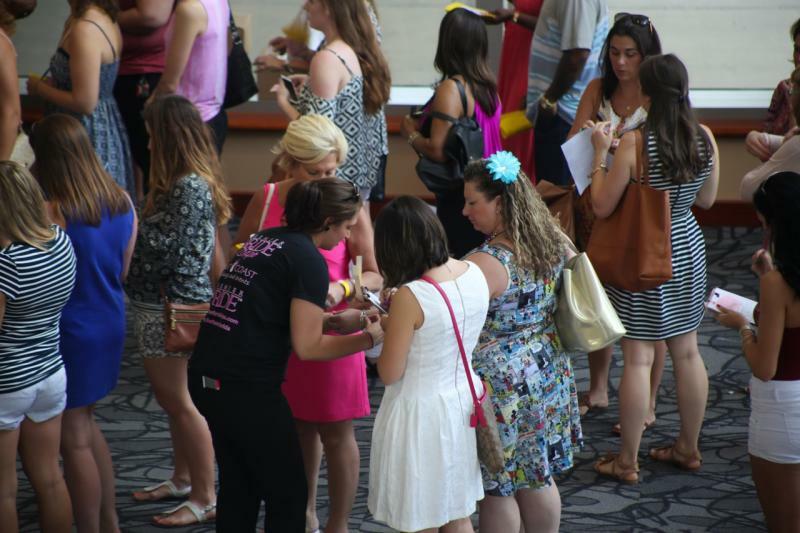 There are 3 hours at each Premier Bride Expo in Jacksonville and St. Augustine, so you can come early if you have lots planning, or you can come around 2 pm to avoid the mad rush at the beginning of the show. Every couple is treated as a VIP at the Premier Bride Expo, so everyone gets a swag bag full of goodies and information. Try to have a pattern when walking the trade show floor. Go right, or go left…just remember where you went and stay on one side of the isle before going to the next. You want to make sure that you do not miss any vendors! Make sure you bring your camera or camera phone – you will want to take pictures of the inspirations that you find or the vendors that you want to use. Only bring the people with you who are decision makers. Your finance, your parents or may be your close friends. Too many opinions can be tough to get things accomplished. It can also be frustrating….because it is your wedding…so do what you want! Stay together, don’t split up! Make sure that you walk the floor together because you are making decisions together and there is plenty to discuss! Use the map and vendor list that is given to you at the entrance of the bridal show, or is in your wedding swag bag. It will help you locate the vendors you want to see and find their location. The Jacksonville expo, at Everbank is on two floors…so it is helpful to know where each vendor is. Make sure you bring your calendar with you because you might want to set an appointment at the wedding expo! All of the vendors are professional and they will respect your time. They will not push their services on you, but you might fall in love with them and want to book at the show! Don’t be afraid to tell a vendor that you have already booked with another vendor, they will appreciate your honesty. Enjoy the fashion at the bridal and grooms attire booths. Many of these vendors bring tons of sample gowns and/or live models to show them off! Eat! Taste test the cakes, catering and reception venue food…that is what is there for! If you have a popular wedding dates; March, April, May, October, or November Saturdays…be prepared to make decisions because these are the popular wedding months in Jacksonville, St. Augustine, Amelia Island, Orange Park and the surrounding areas. Be prepared to book vendors quickly because they book up too! Wear comfortable shoes….you will walk around a lot! Bring labels. Bring labels. Bring labels. Many wedding vendors will ask you to register at their booth if you are interested in their services. If you bring the peal and stick labels…you can save your hand from writing out your information! Make sure you pick up your copy of Premier Bride Magazine!